The most important religious and political center of ancient Kalymnos, the sanctuary of Apollo Dalios. 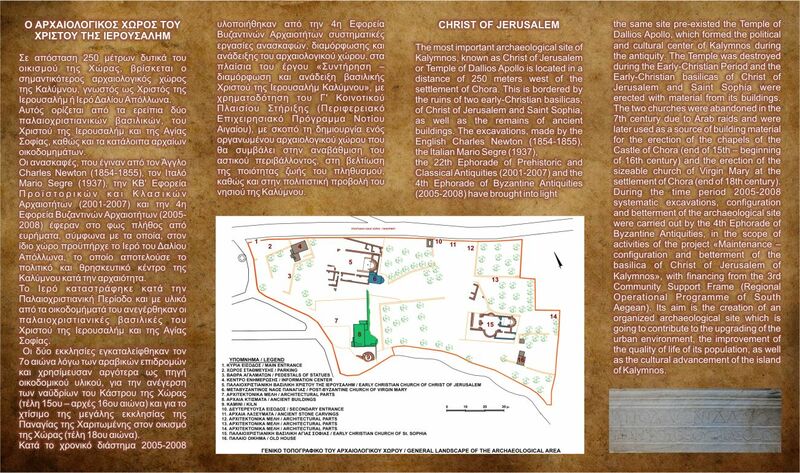 On top of the ruins of the temple of Apollo and using parts of it, the Christian church of CHRISTOS (Christ - Jesus of Jerusalem ) was built. A great number of offerings were found in two votive deposits. Part of the of findings are exhibited at the Archaeological Museum of Kalymnos Island. The church operates in a festive celebration of Christ on August 6 in the morning and the previous evening. On August 6th most restaurants serve fish, because fish may eaten even though we are in the middle of fasting Assumption. 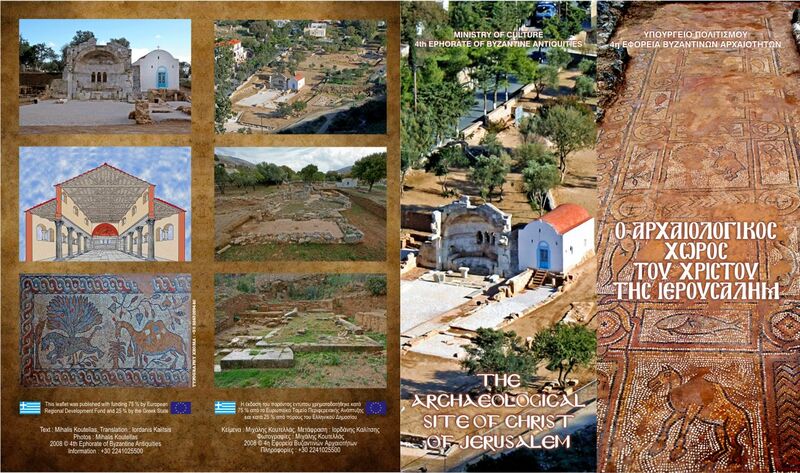 The site is one of the few Archaeological sites in Greece that are open during the full moon night of August. Usually a concert takes place during this night.